After being published, A370 has immediately caught much attention and become one of the most popular products of Winmate. One of the attractions of A370 is its outstanding graphic performance that can efficiently enhance efficacy of digital signage. 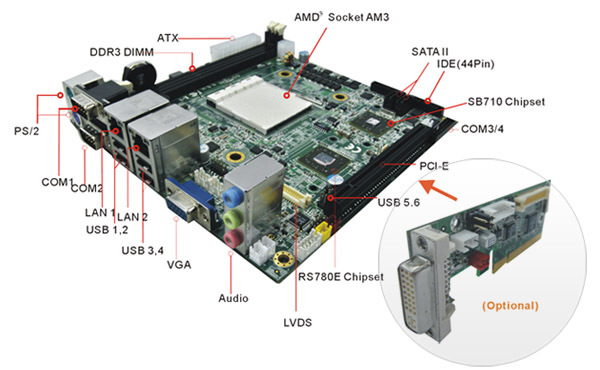 In addition, variety of CPU selection increases specificity of this motherboard with RS780E and SB710 chipsets. Consumers can choose from AMD Phenom II x 4 905e Processor, AMD Athlon II X4 605e Processor, to AMD Athlon II X2 235e Processor. Supporting multiple I/O, A370 owns two PS/2s, two RS232s, four USBs, two RJ-45s, one VGA, one DVI-D, and one Mic in/Line in/ Line out. A370 uses DDRIII memory up to 1333MHz and maximum 8GB that can speed its operation. Moreover, A370 provides dual screen mode to satisfy customer's various demands. Due to remarkable graphic feature, A370 platform can be applied to products that demand high graphic performance, especially to digital signage. 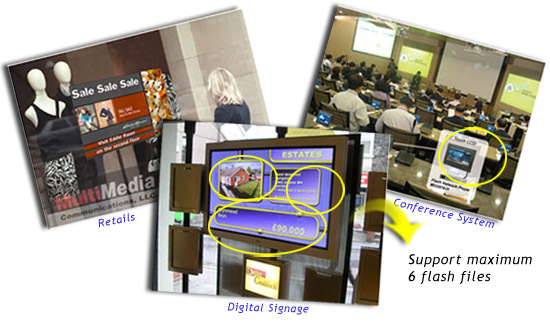 With A370, MSS970-A3 and MSS970-A4 are superior to other digital signage products. Compared with our Intel® platform of MSS970-I1(ATOM) and MSS970-I3(GM45), MSS970-A3 and A4 prove their strength of graphic capability to play one Full HD or two HDRs at the same time. Moreover, six flash files can be played simultaneously under MSS970-A3 and A4. A370 Box PC is another impressive application of A370. Consumers can free choose CPU between AMD series. Same as digital signage, A370 Box PC is suggested to use in multi-media field because of its advanced graphic illustration.